A thrilling helicopter tour to admire the amazing scenery of Bora Bora, the gem of the Pacific - pure beauty that will remain leave an indelible impression in our memories. After leaving the heliport of Pago Pago, we fly over the lagoon and the village of Vaitape and head towards the islets of Motu Toopua and Motu Tevairoa. 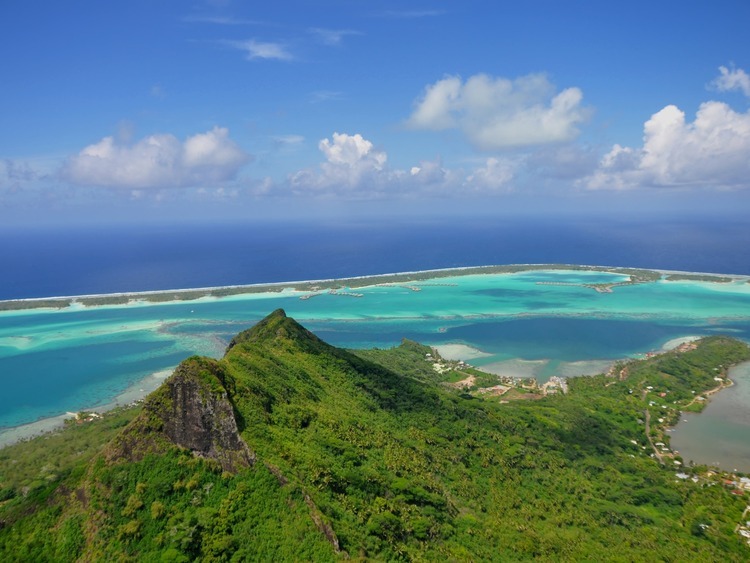 Enchanted by the breath-taking scenery, we head south to the Bora Bora airport, cross the lagoon and reach mount Otemanu, the tallest peak in Bora Bora (727 m). Before returning to Pago Pago, we see Matira a lagoon with crystal-clear waters and a truly delightful attraction. You need to be physically fit to take part in this excursion. The itinerary and order of visits may change without prior warning dependent on weather conditions or other circumstances.